Making things happen isn't always easy. 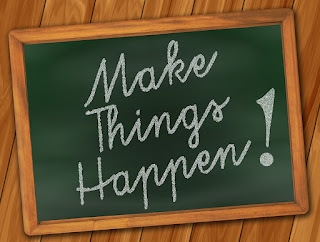 It sounds very catchy and motivating when someone who's trying to encourage us says it: "Hey, make it happen!" Yeah, okay. Sure. Great. That's awesome, right? You hear what they said, but your big challenge is wrapping your head around a strategy. However sincere their intention was, sometimes we're left wondering "But, how?" I believe in making things happen, whenever possible. I have to admit that theory has both worked for me and against me at times. I'm a person who can see the planned end from the beginning easily, so strategizing usually comes simple for me. The problem comes in when your timing may be off, or maybe "I wasn't supposed to do this 'thing' in the first place." Yep, that could happen. I've learned the hard way to be very analytical about what is actually supposed to manifest in my life. I had to. I have ideas rolling around in my head all the time, so now I'm seriously careful about what I'm to choose for launching. I love creating projects, and I have very often. Some went well and others played out rather quickly, and sometimes sadly. It's the price you pay when you make your choices without the appropriate consideration and planning. Everything that looks good and sounds good, won't necessarily turn out well, and it can be tricky trying to make the best decision. 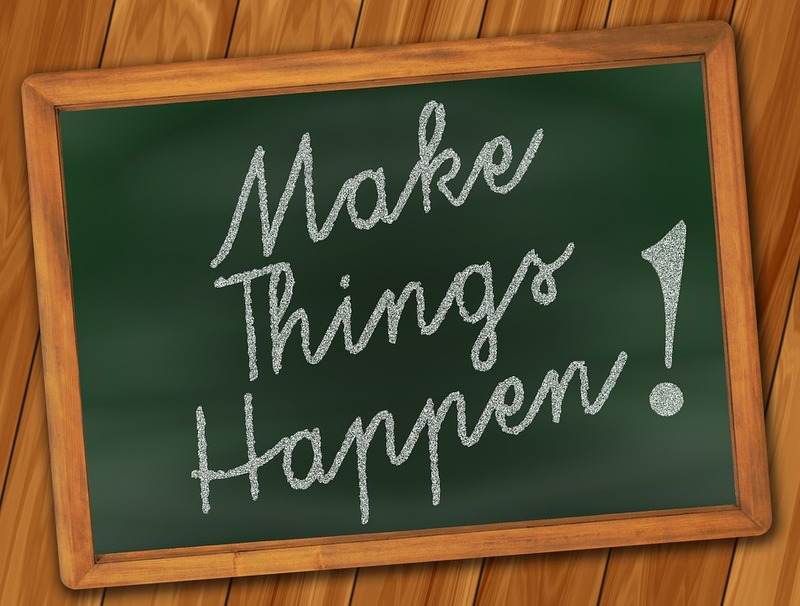 Why should you make "it" happen? Why should you do it? Why does it matter? If you come up with great answers to these questions, then you've found all the reasons you need to keep processing your idea in your head. Do you have the experience? Do you have a good understanding of what you're about to undertake? If not, get to work on that. Read. Talk to people. Find out what the "hidden" parts are, things that aren't obvious or on the surface regarding your idea. Otherwise, you may be looking frustration and failure square in the face. The good news is that you'll learn something from that, too. Remember that things have a natural order. You can't put the cart before the horse and think you'll move forward successfully. I can assure you that even when you plan adequately, you will still face missteps, disadvantages and surprises. It's all a part of learning the "order" you need to construct and follow. Plans change, and they should, but it doesn't mean start without one. You need one, and you will need to stay open-minded enough to know how to make adjustments however and whenever you need to. The moment you say "this is not how this should be going" is a key indication that something went wrong, or that you're being directed to "order" things differently. Think it through, and determine what you should do next, and better. Define your success for yourself. If you're shooting to be among the "five-percenters" who are the richest in the world, that's great and it's not impossible either. Be well aware, that's not the only indication of success. If you want to go back to school and get a diploma or degree and you do it, that's success! If you are looking to start a business and you do, that's success! Whatever the goal is, satisfy your own craving. Satisfy the goal that's in your heart. The process of achievement, advancement and attaining things in life is not necessarily measured by just having money. There are many, many very happy people who are not mega-millionaires. Of course, you'll want enough prosperity to meet your needs, and hopefully the needs of others, too; however, don't get trapped into thinking you're not successful if you didn't land a spot in Forbes. Measure your own happiness and satisfaction, as well as what's in your bank account to come up with your own formula that equals success. To do or not to do? Some things will come to us. Some things fall right into our laps. For most of us, though, we will need to create a step-by-step agenda to make things happen. We will have to be logical and strategic. We will have to learn, try and test things. Regardless of how you approach it, the "making it happen" process is always rewarding. Yes, frustrating at times. Yes, challenging at other times. Yes, you will throw your hands up in the air sometimes. It's all a part of the process, and here's the best part: Once it's all said and done, to be able to say "I did it!" feels like the best day of your life. ~ S.R.F.